New: meniscus lenses made of AMTIR-C1 and Germanium substrates with AR/AR coating at 3-5 and 8-12 microns. 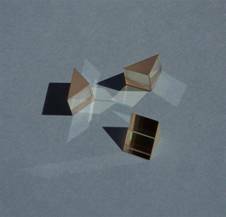 Del Mar Photonics supply infrared optics from other materials including ZnSe, Germanium, Barium Fluoride, Calcium Fluoride IR grade and many others. E-mail us for custom quote or check our online store for items available in stock. E-Ge-1.25-3 Germanium etalon, ø 1.25" x 3"
The transmission of BBAR-coated germanium window. Infrared Filters & Metalized Windows. Windows. Germanium Sapphire Zinc Sulfide Silicon Zinc Selenide. Filters. 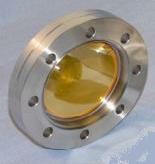 Germanium Window (Ge Window) widely used in IR sensors, thermal image, medical and other applications. BBAR coated Germanium windows for pyrometry and thermography. Germanium(Ge) Windows/Lenses Germanium is a commonly used infrared window material. It's popular for its high index of refraction and good IR transmission. Diamond coated hardened carbon Germanium window. A window fabricated from germanium is both electrically and thermally conductive. My application is calibrate the relative wavelength of tunable quantum cascade lasers in the mid-infrared (~10 microns). 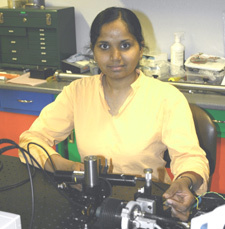 The laser itself is used for remote sensing of atmospheric gases. For longer wavelength (> 10 micron) it's often necessary to use etalons 2-3 inches long to get required accuracy of calibration. 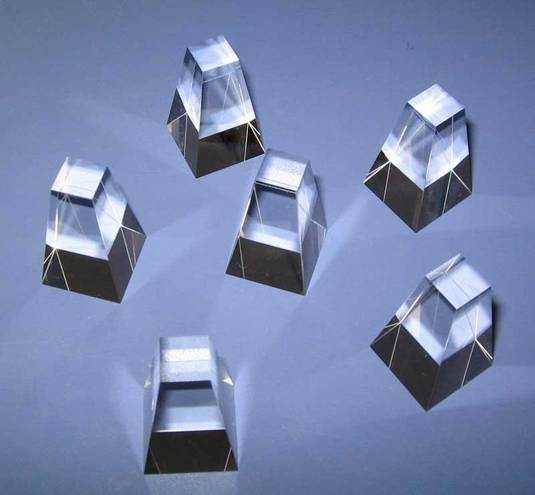 Del Mar Photonics offer variety of standard as well as custom germanium etalons. Project: Infrared absorption spectroscopy with Quantum cascade laser. The advance of Quantum cascade (QC) lasers fabricated by band structure engineering offers an attractive new option for IR absorption spectroscopy. QC-DFB lasers are of particular interest to gas-sensing applications because they emit single frequency radiation which falls within the 3-15 um window, where the fundamental absorption bands of most of the molecules are located. Exploring different strategies for trace gas detection and comparing the detection limits and sensitivity for open-path measurements. 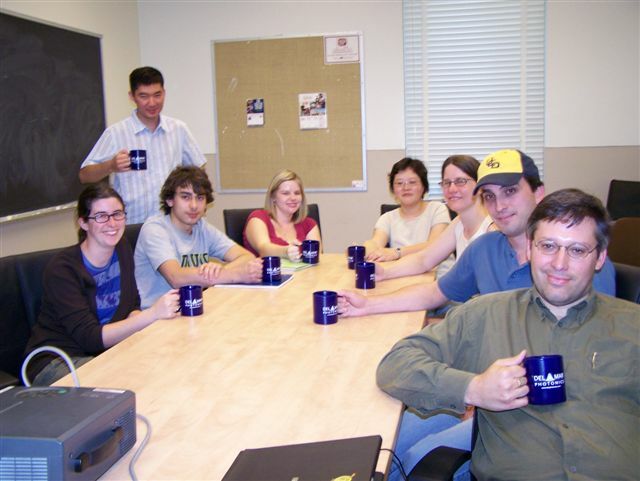 I am a graduate student pursuing my doctoral studies at the University of Alberta. The Ge- etalon will be used for non-profit research here at the university. I am presently working on a gas sensing project involving Quantum cascade laser. The mid-IR region is ideally suited for absorption spectroscopy since the fundamental vibrational transitions of a number of molecules lie here. Quantum cascade (QC) lasers fabricated by band structure engineering offer an attractive new option for sensitive IR absorption spectroscopy. Distributed feed-back pulsed QC lasers are of particular interest for they allow the realization of a room temperature, compact IR source with relatively high output power. 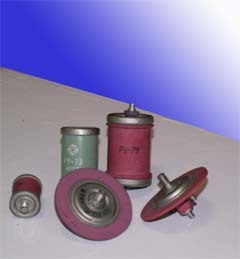 In particular, their combination with the pulsed-CRDS technique has the potential for high sensitivity trace gas analysis. The goal of our present work is to develop a technique for quantitative online analysis of trace constituents in exhaled breath. We are using pulsed-CRDS technique in combination with a mid IR QC laser operating near 970 cm-1 to measure ammonia levels in exhaled breath. An unlocked ring-down cavity was designed for these studies which can be operated at atmospheric or reduced pressure. We have already attained a detection limit of 25 ppb for ammonia. We are in a process of improving the system to get down to sub ppb levels with this technique. The etalon will be used for characterization of the laser which would be an important step in choosing the right parameters for the laser for gas-sensing applications.